Jo Bemis was born on the Isle of Wight in 1969. She studied at Portsmouth College of Art and Leeds Metropolitan University in the early 1990's. Following that she traveled extensively whilst being commissioned to produce art work for a number of organisations which included television and radio exposure. 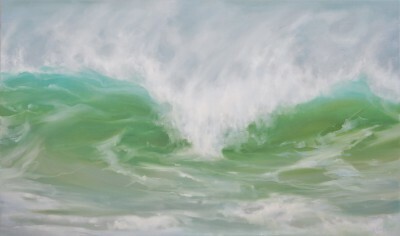 A move to the United States in 1996 allowed Jo Bemis to continue her development and she exhibited in art galleries in Michigan. 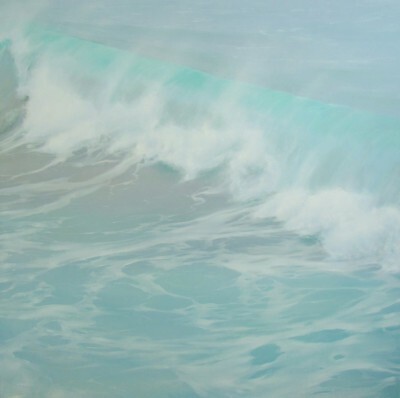 Jo Bemis returned to the UK in 2000 and has continued to exhibit in the United States. 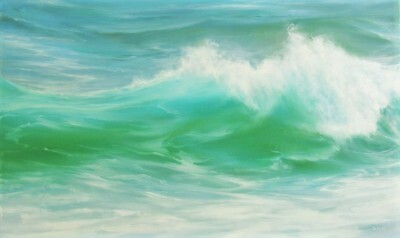 She has successfully undertaken a number of commissions and her paintings hang in many private art collections worldwide. 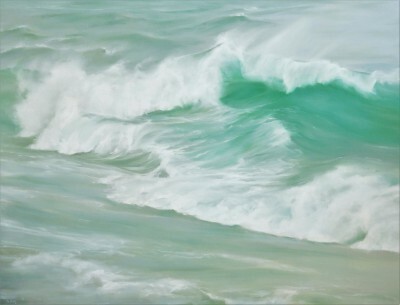 Her return to the UK inspired Jo to start creating seascapes in extreme weather. Acknowledging the influence of James Whistler and John Constable, Bemis paints from nature, based on open air sketching and the photographic results of the camera. 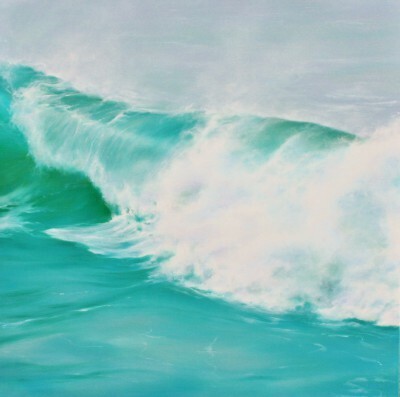 As a landscape and seascape painter Jo Bemis paintings capture the energy of nature. 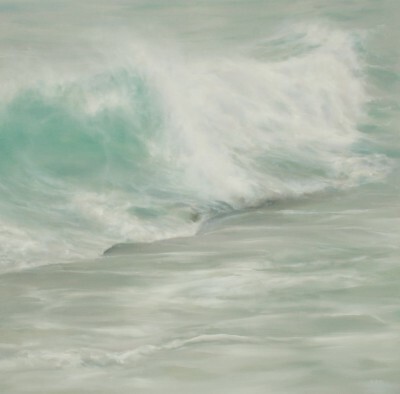 Her love for wild, rugged landscapes and the British coastline are evident in her paintings. 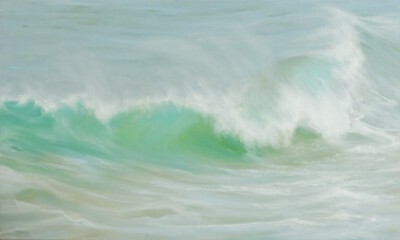 She has a wonderful capacity to capture the feel and look of the north Atlantic seas in times of extreme weather. 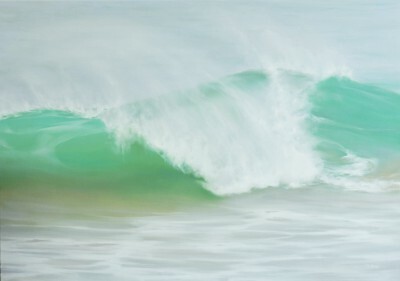 The rolling waves and luminous quality of light here have become a focus for her recent paintings, along with a desire to express the energy and spirit of the ocean. Although Jo Bemis always kept many sketch books, it was her husband Jim who encouraged her to develop her work into paintings. 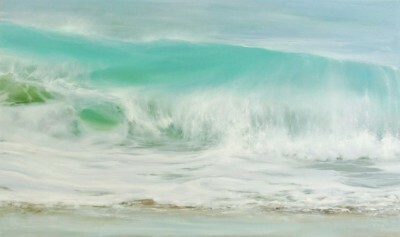 Following a visit to St-Ives in 2005 , they both fell in love with Cornwall, and the drama of the Atlantic Ocean. After making several small oil studies on board, Jo became totally dedicated to painting. Working in oil Jo paints at a brisk pace with a palette knife, refining the detail with a fine brush. 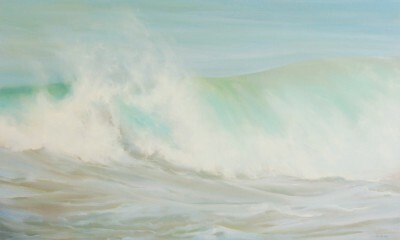 In addition to Red Rag modern art gallery Jo Bemis art work has been exhibited at other leading British Art Galleries. Each painting at Red Rag is sourced from the Jo Bemis artist studio and like all Red Rag British art and Contemporary art it can be shipped worldwide.